My business on OSM in five minutes | goFLOSS! You might have seen Google ads around, suggesting people to add their business to Google Maps. I thought I would write a short post to help out people trying to add their business to a different project: OpenStreetMap. 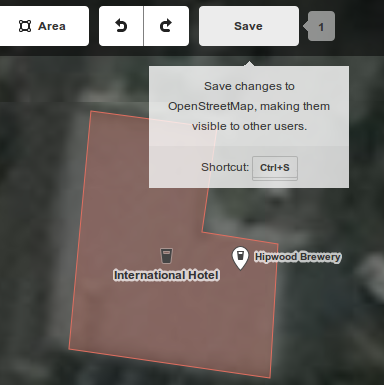 You can very easily add your business to OpenStreetMap (OSM), a crowd-sourced map of the world that is more and more widely used as the data is released under an Open Database License (ODbL). Here are the five easy steps to add your business in the database for everyone to find. It is very likely it will actually take you less than five minutes. 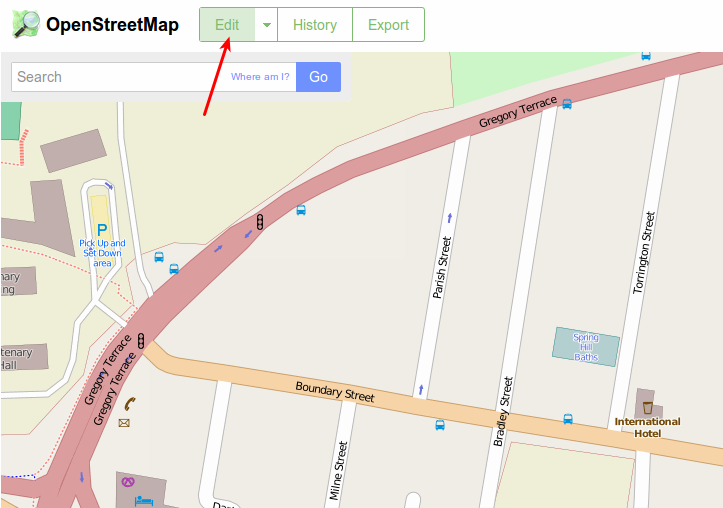 Go on the OSM website, find where your business is located and click on the “edit” button. 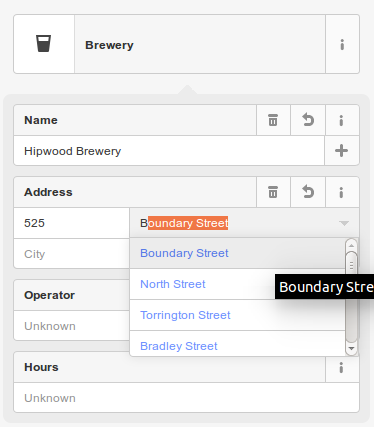 Find where your business is and click on “edit”. You might have to create an account if you don’t have one already (it only takes a few seconds!). 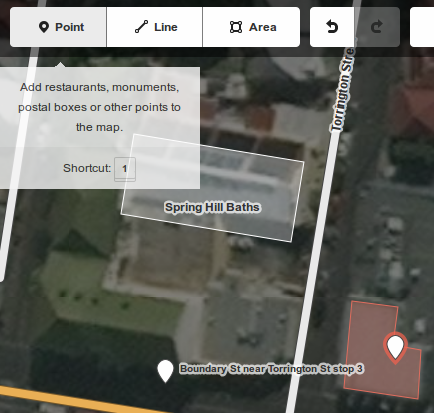 Click on “Point” and add a node to the map where your business is located. Click on “Point” and add a single node to the map. 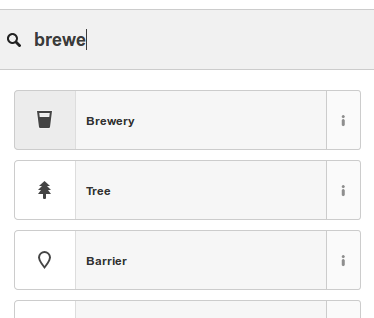 Search for the business type, or the closest matching category, and click on it. Search for your business category. Add details about your business in the fields. Add information about your business. You can add extra information by clicking on the icons below the fields, like phone number and website. Extra fields are also available at the bottom. The only tricky field is for the opening hours. Make sure you have a look at examples on this wiki page. In my example, in have to use the syntax Mo - Su 10:00-24:00 for a business opening seven days a week, from 10 am till midnight. Save your changes by clicking on “Save”, and add a commit message like “my own business” to justify them. You will be able to see your changes on the map just a few minutes after you saved your changes. And your business will be that much more visible! If you have any question or need some help, feel free to comment below or to have a look at the OSM wiki, where you can search for information specific to your business type. Hey thanks. Please put a link to the maps near the top! Ha, silly me! All done, cheers!